The Exploratorium, one of San Francisco's most beloved museums, opens its doors today in a new waterfront location, marking the completion of one of the world's greenest museums. 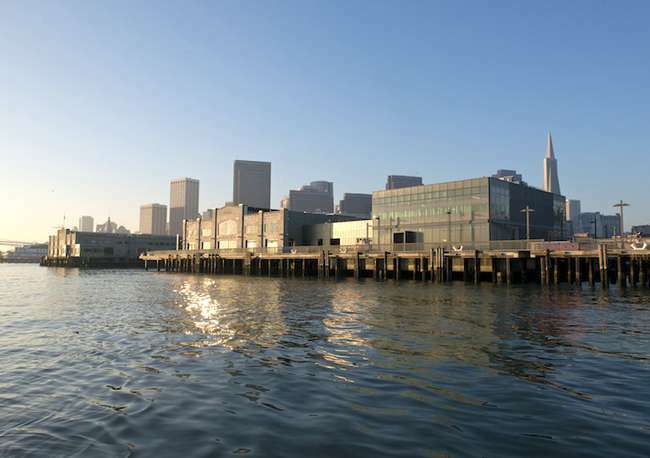 In September, the Exploratorium announced that it would move from its longtime home at San Francisco's Palace of Fine Arts to Piers 15 and 17, along the Embarcadero. The new energy-efficient building features 5,874 solar panels on its roof and a bay water heating and cooling system that will be used to regulate the museum's interior temperature. And visitors are sure to enjoy the the 1.5 acres of outdoor space that are open to the public and include free outdoor exhibits. When the Exploratorium opened in 1969, it pioneered a new type of interactive science museum that has come to be the norm at museums around the country and the world. Now, the Exploratorium is forging new ground in the realm of sustainability. The new 330,000-square-foot museum will itself serve as an interactive exhibit, educating the public about energy-efficient design. To achieve its goal of net-zero energy, the Exploratorium partnered with Silicon Valley-based solar manufacturer SunPower to offset its 1.3-megawatt solar system to offset the new facility’s energy needs. The new museum, which is being designed EHDD Architecture and GLS Landscape Architecture, will be one of the greenest museums in the country. The innovative new building will feature a bay water heating and cooling system that will circulate about 74,000 gallons of water per hour throughout the facility. The cold temperature of the bay water will be used to cool the building, and for heating it will be passed through electric heat pumps. By avoiding the use of evaporative cooling towers, the system will save an estimated 2 million gallons of water per year. Additionally, rainwater will be collected from the new building’s roof to be reused for toilet flushing. Another benefit of the new location is that it’s easily accessible by mass transit. Pier 15 is close to the Embarcadero BART station, as well as the ferries that land at the nearby Ferry Building, making it easier for both locals and tourists to visit the museum. When the Exploratorium opened in 1969, it pioneered a new type of interactive science museum that has come to be the norm at museums around the country and the world. Now, the Exploratorium is forging new ground in the realm of sustainability. The new 330,000-square-foot museum will itself serve as an interactive exhibit, educating the public about energy-efficient design. To achieve its goal of net-zero energy, the Exploratorium partnered with Silicon Valley-based solar manufacturer SunPower to offset its 1.3-megawatt solar system to offset the new facility's energy needs. The new museum, which is being designed EHDD Architecture and GLS Landscape Architecture, will be one of the greenest museums in the country. The innovative new building will feature a bay water heating and cooling system that will circulate about 74,000 gallons of water per hour throughout the facility. The cold temperature of the bay water will be used to cool the building, and for heating it will be passed through electric heat pumps. By avoiding the use of evaporative cooling towers, the system will save an estimated 2 million gallons of water per year. Additionally, rainwater will be collected from the new building's roof to be reused for toilet flushing. “Net-zero is a process – and an opportunity for the public to learn with us," added Bartels. Another benefit of the new location is that it's easily accessible by mass transit. 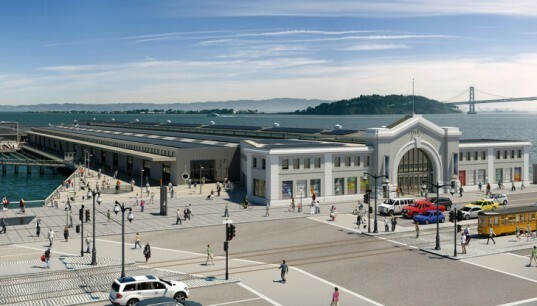 Pier 15 is close to the Embarcadero BART station, as well as the ferries that land at the nearby Ferry Building, making it easier for both locals and tourists to visit the museum.